Is Emotional Pain Necessary? Traditionally, the American Psychiatric Association's manual of mental disorders has warned doctors away from diagnosing major depression in people who have just lost a loved one. The idea was that feelings of intense pain were normal, so they shouldn't be labeled as a mental disorder. Now, the group is changing those guidelines. In the winter of 1992, Theresa Smith took her 14-month-old daughter, Scarlett, to Arizona for an extended visit with family. One night, as they headed to bed, Theresa's mother made a declaration: She would watch the baby the next morning. Theresa should take the day for herself. The following morning, Theresa kissed her mother and child goodbye and headed off for a rare day of leisure. This was the era before cell phones, and Theresa wasn't able to call home. So it wasn't until later that afternoon when Theresa learned that her baby daughter had died -- she had fallen into the pool in her mother's backyard and drowned shortly after Theresa pulled out of her mother's driveway. Scarlett was Theresa's only child, the center of her life, and so the months that followed were close to unbearable. Theresa cried every day. She considered suicide. She could not sleep. And, though she went back to graduate school, she found it hard to focus. The nights were the worst. Theresa would go to the cemetery and sit, banging her head against Scarlett's headstone until her face was covered with blood. Eventually, the husband of a good friend started coming to retrieve her after he closed his restaurant for the night. He would take her back to her apartment, a place no safer from pain. "At one point," Theresa says, "I wanted to smell Scarlett. And I looked and I went around the apartment, and I looked for her fingerprints, little spots where she had spit up milk. I just looked for her everywhere. She was all I wanted." Today, Theresa is doing well. And she looks on this period of her life, the months of incredible pain and suffering, with a kind of distant pragmatism. "It's a normal process of letting go of your child," she says. "You've got to go through all of this." But is what Theresa went through a normal part of grieving, or did the death of her child bring on a mental disorder -- major depression -- that could have been, perhaps should have been, aggressively treated? Earlier this year, the American Psychiatric Association released a rough draft of its new Diagnostic and Statistical Manual of Mental Disorders, or DSM. It's a big book that lists all the mental disorders doctors can use to diagnose mental illness. One of the changes they're proposing is causing controversy. Traditionally, the manual has warned doctors away from diagnosing major depression in people who have just lost a loved one in what's called "bereavement exclusion." The idea was that feelings of intense pain were normal, so they shouldn't be labeled as a mental disorder. But the new DSM changes this. Buried in the pages is a small but potentially potent alteration that has implications not only for people like Theresa, but ultimately for the way that we think about and understand the emotion of pain. The DSM committee removed the bereavement exclusion -- a small, almost footnote at the bottom of the section that describes the symptoms of major depression -- from the manual. Dr. Kenneth Kendler, who is on the committee that decided to make this change, says it's not that the committee feels everyone who has a loss should immediately be diagnosed with depression. For Kendler, there is a clear, bright line between normal grief and clinical depression. Grief is OK -- depression is not. Depression, by definition, is dangerous and should be treated. Grief is normal and should not. So how, exactly, does Kendler define grief? "Typically, modest amounts of upset are fairly common -- sometimes difficulty sleeping, crying over memories of the loved one," Kendler says. According to Kendler, people in grief also often lack concentration. They frequently lose sleep, lose appetite, lose energy. 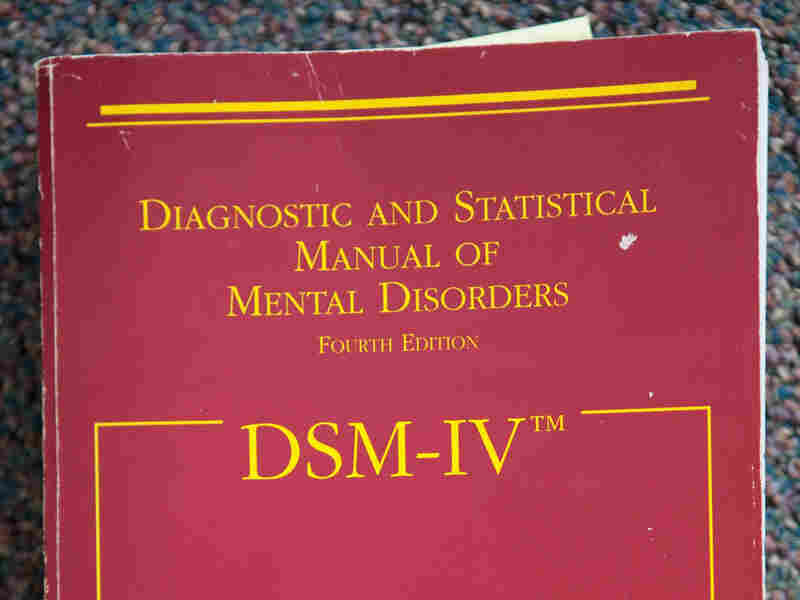 The Diagnostic and Statistical Manual of Mental Disorders, or DSM, is the book that lists all the mental disorders doctors can use to diagnose mental illness. Now technically, these are also symptoms of depression. So what's the difference between grief and depression in Kendler's view? Kendler says that in grief, the symptoms are less severe, and also, the acute pain doesn't last as long. "Usually for days at a time. Not for weeks," Kendler says. There are "a few days of acute upset and then a much longer period of the longing, the tearfulness. But typically sleep, appetite, energy, concentration come back to normal more quickly than that." In fact, in the new manual, if symptoms like these persist for more than two weeks, the bereaved person will be considered to have a mental disorder: major depression. And treatment, either therapy or medication, is recommended. Now according to Kendler, this change will affect a small number of people -- less than 30 percent of the bereaved. 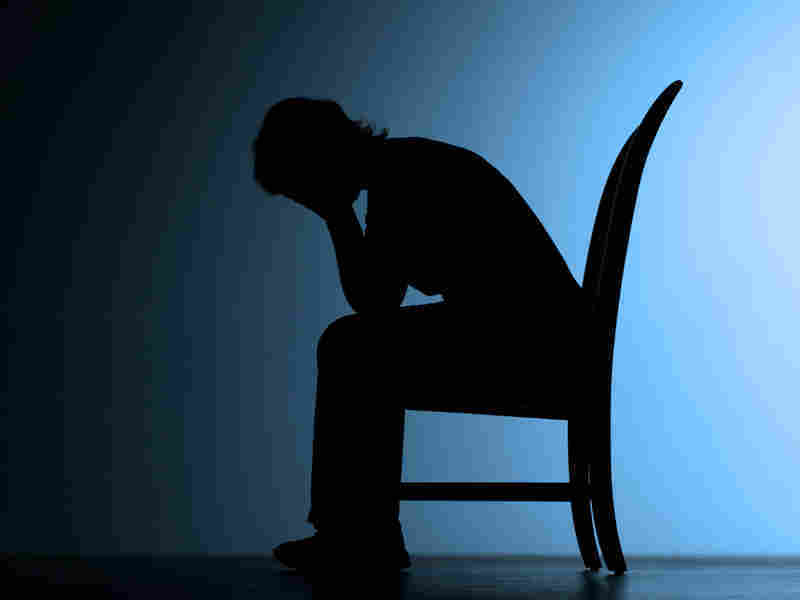 But Holly Prigerson, a researcher at Harvard University who studies bereavement, says that while there's no good research on what percentage of people will meet the criteria for depression after a loss, it's clear that most experience depressive symptoms far beyond two weeks. What underlies a lot of this discussion is: Is it harmful to interrupt a normal grief process by medicating? "What we found," Prigerson says, "is that when you follow people -- for example, between zero and six months post-loss -- their depression symptom levels actually increase over time and peak at about six months post-loss." Because grief and depression look so much alike, Prigerson says, she worries that people who are suffering from normal grief will be told that they are sick when they are not, and encouraged to treat their symptoms when they don't need to. That is potentially a problem, Prigerson says, because we don't know whether the pain of normal grief actually helps people to process their loss. In some ways, it is shocking what we don't know about grief. Every day in America people die, leaving loved ones behind to struggle with the consequences. Yet we know relatively little about whether the pain that follows a loss is, in a health sense, necessary. As Prigerson says, "What underlies a lot of this discussion is: Is it harmful to interrupt a normal grief process by medicating?" I'd rather make the mistake of calling someone depressed who may not be depressed than missing the diagnosis of depression, not treating it, and having that person kill themselves. That is, does going through intense emotional pain make you emotionally healthier later by allowing you to emotionally process your loss? "Early on, there used to be the thought that there was this grief work, and that if you did not demonstrate lots of upset acutely after someone died, that later on there would be more distress," Kendler says. "But research has shown clearly that that concept is false." Kendler points to research showing that people who are doing well two weeks after a loss also seem to be doing well one year later. But Prigerson and several other researchers don't agree that the research is clear. They argue that at this point, we just don't know whether emotional pain in the wake of death allows you to come to terms with your loss, or if you can be just fine without it. But to Dr. Sid Zisook, one of the psychiatrists who has argued for removal of the bereavement exclusion, this academic question doesn't matter. The dangers of depression, he says, are perfectly clear. "I'd rather make the mistake of calling someone depressed who may not be depressed, than missing the diagnosis of depression, not treating it, and having that person kill themselves," Zisook says. And just because pain after loss is normal, Zisook says, doesn't mean you shouldn't treat it. "I mean, [pain] is a normal consequence of breaking a bone. But that doesn't mean that we don't treat the pain. We treat the pain vigorously," Zisook says. But for some people, the real issue raised by the bereavement exclusion is philosophical -- or maybe the better word is existential. Dr. Allen Frances, the famous psychiatrist and a former editor of the DSM, says that more and more, psychiatry is medicalizing our experiences. That is, it is turning emotions that are perfectly normal into something pathological. Over the course of time, we've become looser in applying the term 'mental disorder' to the expectable aches and pains and sufferings of everyday life. "Over the course of time, we've become looser in applying the term 'mental disorder' to the expectable aches and pains and sufferings of everyday life," Frances says. "And always, we think about a medication treatment for each and every problem." From Frances' perspective, if you can't feel intense emotional pain in the wake of the death of your child without it being categorized as a mental disorder, then when in the course of human experience are you allowed to feel intense emotional pain for more than two weeks? This perspective is also shared by Theresa Smith, the woman who lost her daughter 20 years ago. "I grieved her just as hard as I loved her," Smith says. "I had to. It wouldn't have meant anything if I hadn't."